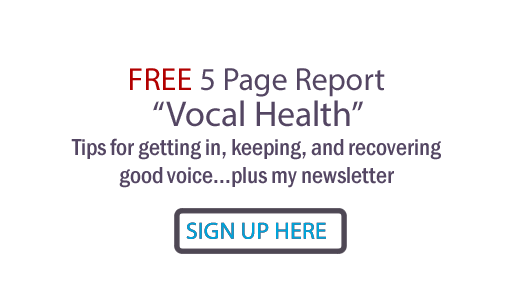 Judy Rodman - All Things Vocal Blog: Performance body language- anything but stiff! Body language is important for vocal communication. If you've taken lessons from me or have read many of my post on All Things Vocal, you know how I stress this. Here's the thing: different styles of music, different personalities of vocalists, and different venue settings require different degrees of OUTSIDE body movement. The important thing is to stay flexible, no matter what. Examples of the wide range of effective body language would be in performances of Mick Jagger and Jennifer Nettles vs the more subtle movement you see in performances by Allison Krauss and Andrea Bocelli. A Rolling Stones concert would find Mick Jagger all over the stage, with wild facial, hand and leg movements. Nettles definitely communicates with external expression. Allison Krauss and Andrea Bocelli seem to quietly float - ALMOST motionlessly- in place as they sing. In the case of Jagger and Nettles, the external movement adds to the internal flexibility of breath and throat areas. There is control and purpose to their movements, however. A rock singer can kill the voice by squeezing in the wrong places (throat, ribcage) while trying to be TOO externally physical. Any time you see the head pushing forward and the ribcage caving in, you'll also hear the strain and possibly find concerts cancelled due to voice problems. In the case of Krauss and Bocelli, oh how effortlessly they seem to ply their craft- but they are also subtly moving. Notice the slight facial movements- especially the freedom of the mouth and the movement in the eyebrows. They also are subtly purposeful in the slight use of arms- even if it's just the hand holding the mic that is helping them keep their ribcages open. Notice they also have controlled power, enabling the incredible smoothness of their sustains (notes held out). I watched Bocelli on PBS the other night and renewed my awe of his subtle use of body language. I believe he is possibly the greatest pure vocalist of all time. At least for me. Also on PBS, I also watched the incredible boys choir group "Libera" and was very happy to notice that someone has allowed them to move their faces and, though they stand in place, subtly sway their bodies. They are not stiff! Oh, how I wish choir directors all over the world would take notice and let their choral members get of their body braces and float in place! (One of my soapbox issues, for sure). My advice: Consider your personality, the venue you're in, the expectations for your music genre. Then choose to communicate with a body language flexibility which is comfortable to you that will both connect with your audience AND free your voice! PS... if you want to get a great Christmas present for someone (or yourself!) I recommend Andrea Bocelli's cd "Sogno". Effortless resonance personified.